Scientists working close to the line of wildfires are obtaining a new understanding of the fires' smoke plumes. The results are providing real-time information, such as vertical wind profiles, to firefighters battling blazes. Through this National Science Foundation (NSF)-funded research, Craig Clements, a meteorologist at San José State University (SJSU), and researcher Neil Lareau, also of SJSU, have discovered that wildfires can create their own weather, leading to extreme fire behavior. In a paper recently published in the Journal of Applied Meteorology and Climatology, the scientists report findings from inside wildfire plumes, information previously obtained only from computer simulations. 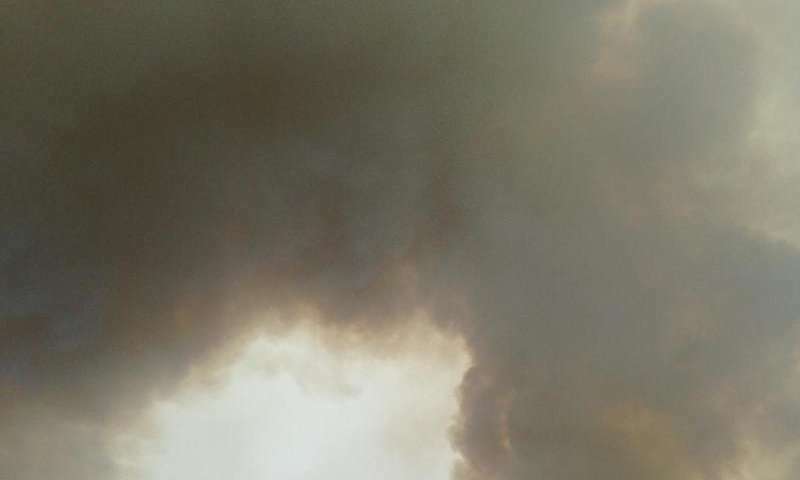 "This research offers rare observations of the behavior of wildfire smoke plumes," says Nick Anderson, program director in NSF's Division of Atmospheric and Geospace Sciences, which supported the research. "Improved understanding of wildfire plumes is important for determining whether smoke will stay near the ground and affect air quality and visibility, or whether it will rise into the atmosphere and potentially affect clouds and the amount of sunlight reaching the ground." The SJSU researchers mounted Doppler LiDAR (Light Detection and Ranging, a remote-sensing method that uses light in the form of a pulsed laser to measure distances) instruments onto a pickup truck, which they placed near wildfires. "Until now," says Clements, "it has been difficult to sample wildfires with such sophisticated instruments because of logistical and safety concerns." 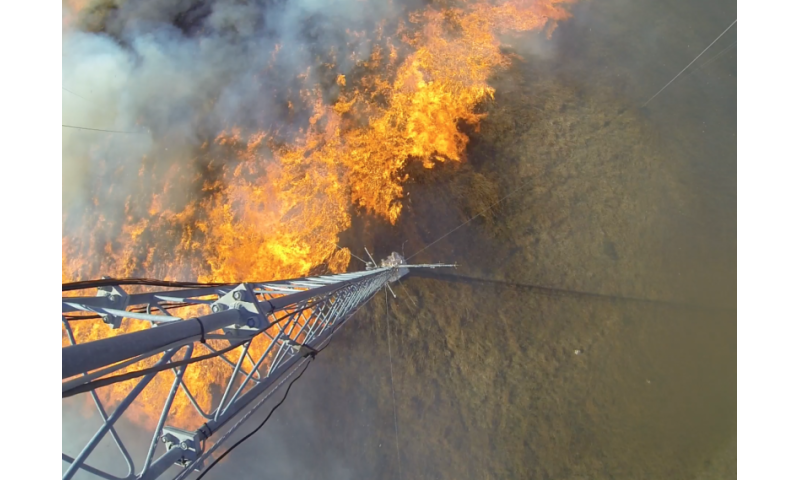 The team overcame that by obtaining firefighter credentials, which allowed them access to active wildfires, and by using a nimble, truck-mounted system that could be rapidly deployed. "Our work is providing new information about fire-atmosphere interactions and how wildfires spread," says Clements. 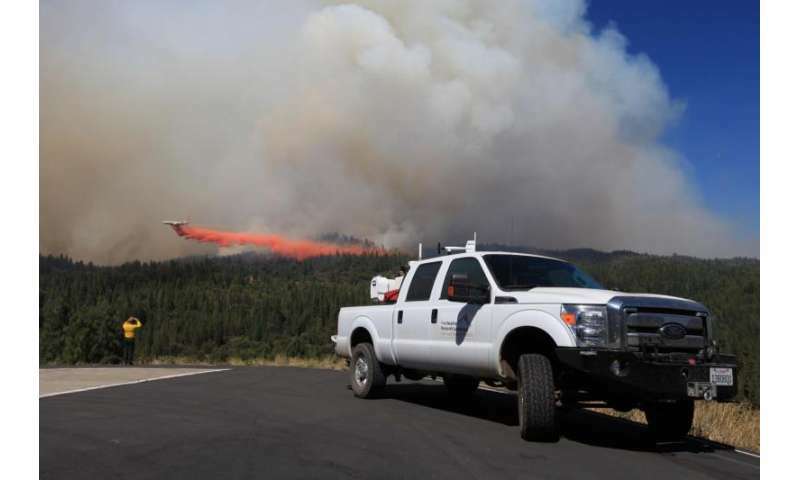 In addition to conducting research at active wildfires in the western U.S., the scientists performed controlled field experiments, setting fires and monitoring their rapid spread through an array of atmospheric instrumentation. These studies gave the researchers information on how wildfires create their own weather systems. Those weather systems, in turn, fuel extreme fire behavior. In their journal paper, the scientists present observations from the El Portal Fire of July, 2014, in Yosemite National Park, California. The results revealed vigorous, fire-generated updrafts, says Clements, and strongly turbulent eddies that formed along the fire plume's edges. The data also showed that fire-modified winds extended more than one mile from the fire itself. The findings confirm longstanding, but previously unvalidated, predictions for how plumes rise from fires, and offer new insights into the processes that control how high and how far wildfire smoke will spread. In addition to the El Portal Fire, the team has studied 22 other large wildfires in the western U.S.
"We're seeing a large number of fires," says Clements. "Many are extreme in terms of intensity. Higher-intensity fires cause deeper plumes, which can help spread fires by lofting embers and causing spot fires. "That situation is dangerous for both firefighters and communities that are in the paths of fires—like those in British Columbia and California this summer. We need more sophisticated models to better predict fire behavior, especially in a changing climate."